Picture Hebrew is proud to partner with Andrew and Bethany Case to offer free Hebrew resources to learners around the world. Please download a free PDF of any book below and share with your friends. Any proceeds from purchasing a physical copy through Amazon will go towards supporting Andrew and Bethany Case as missionary Bible translators. This is the simple story of a very small boy who wonders if anyone around him is smaller than he is. 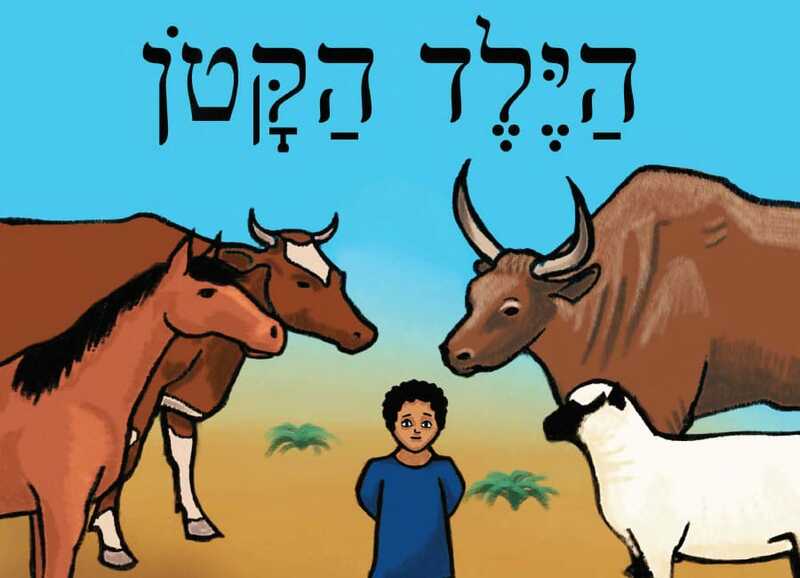 Told in Biblical Hebrew with charming illustrations, it is perfect for beginning students who want to advance further. 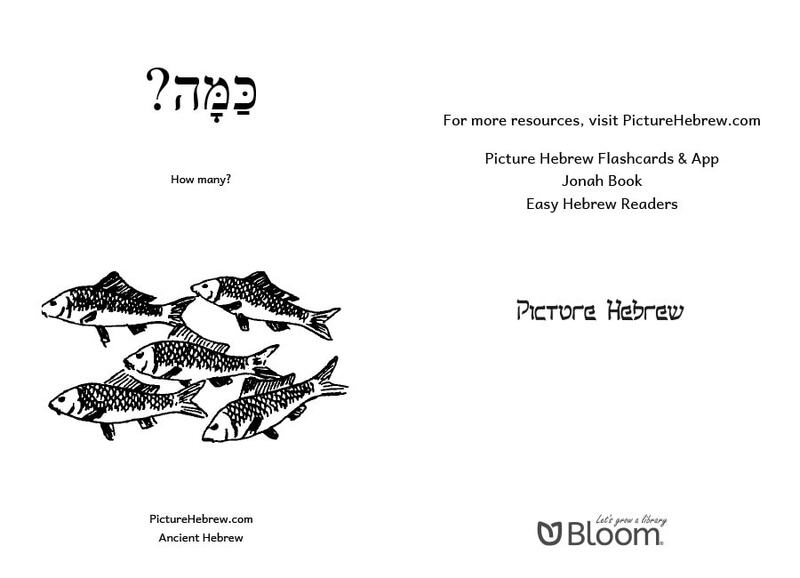 This is the perfect booklet for mastering the basics of counting in Biblical Hebrew. Each page tells you how many fish there are, and on top of each phrase is the corresponding consonant and counting form. In this booklet, learn how to converse about what you see on each page. Identify each of the animals as cows, goats, dogs, sheep, or fish. 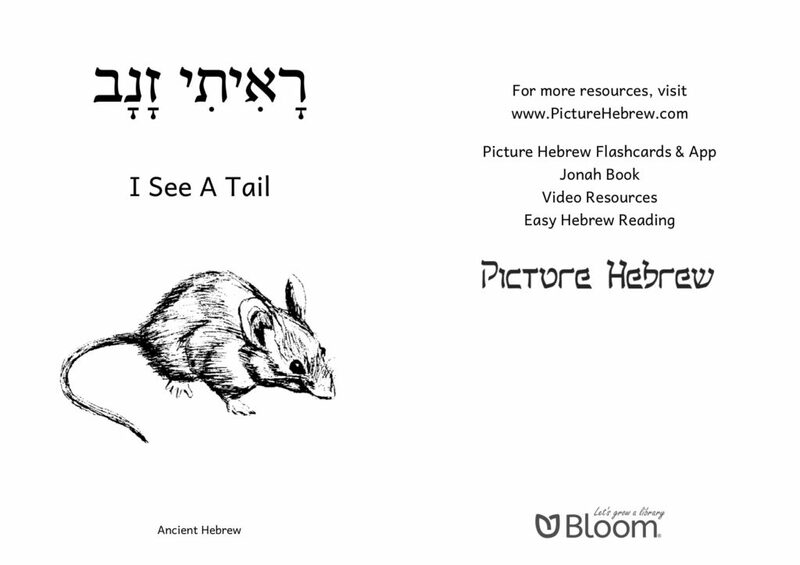 Number how many of each animal you see, and talk about it all in Biblical Hebrew. Learn the story of Genesis 1–2 in condensed, simplified Biblical Hebrew with illustrations. A glossary for infrequent Hebrew vocabulary appears at the end of the booklet. 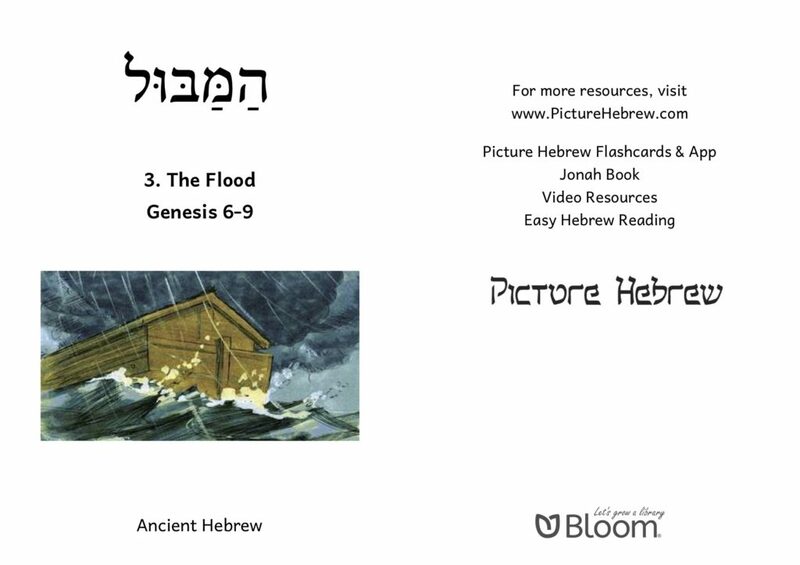 Learn the story of Genesis 3 in condensed, simplified Biblical Hebrew with illustrations. A glossary for infrequent Hebrew vocabulary appears at the end of the booklet. Learn the story of Genesis 6–9 in condensed, simplified Biblical Hebrew with illustrations. A glossary for infrequent Hebrew vocabulary appears at the end of the booklet. 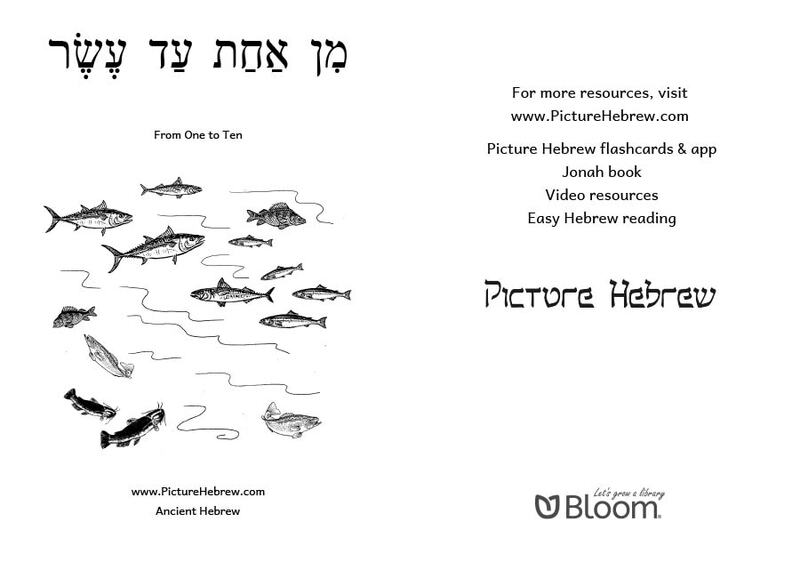 Learn the story of Genesis 11–15 in condensed, simplified Biblical Hebrew with illustrations. A glossary for infrequent Hebrew vocabulary appears at the end of the booklet. Learn the story of Genesis 16–22 in condensed, simplified Biblical Hebrew with illustrations. A glossary for infrequent Hebrew vocabulary appears at the end of the booklet. 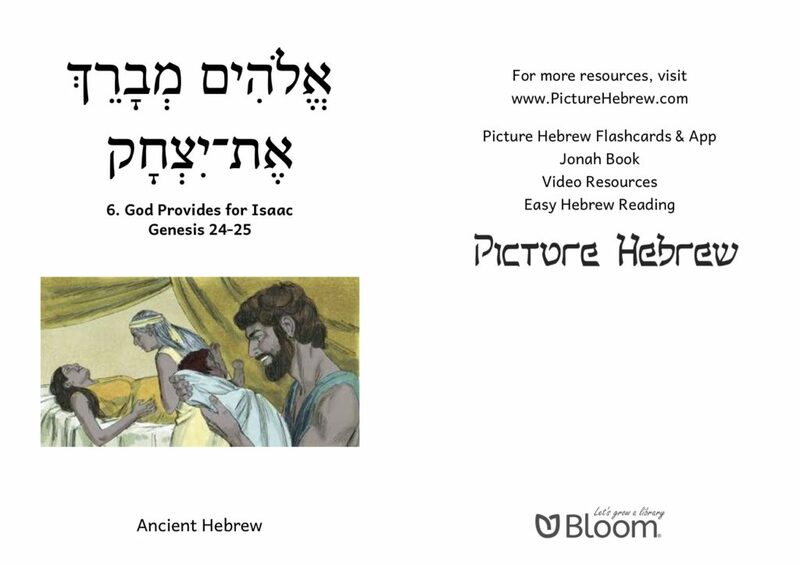 Learn the story of Genesis 24–25 in condensed, simplified Biblical Hebrew with illustrations. A glossary for infrequent Hebrew vocabulary appears at the end of the booklet. 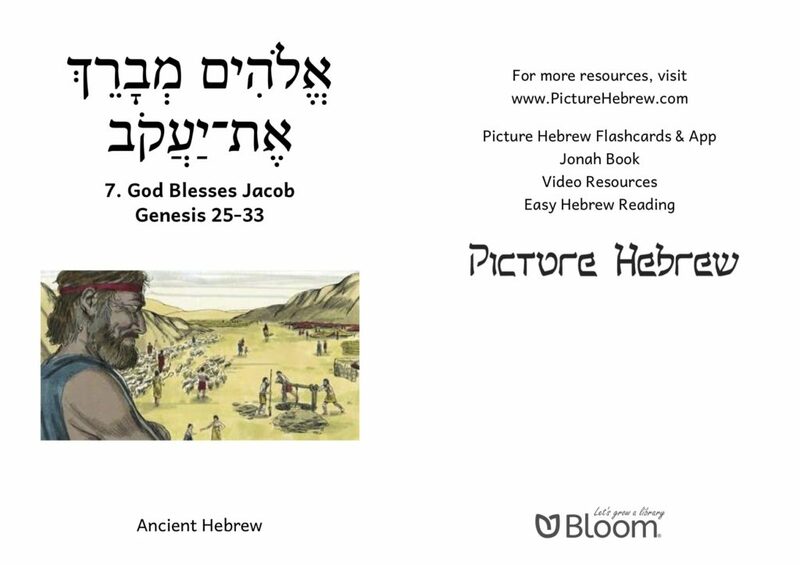 Learn the story of Genesis 25–33 in condensed, simplified Biblical Hebrew with illustrations. A glossary for infrequent Hebrew vocabulary appears at the end of the booklet. Learn the story of Genesis 37–50 in condensed, simplified Biblical Hebrew with illustrations. A glossary for infrequent Hebrew vocabulary appears at the end of the booklet. Learn the story of Exodus 1–4 in condensed, simplified Biblical Hebrew with illustrations. A glossary for infrequent Hebrew vocabulary appears at the end of the booklet. Learn the story of Exodus 5–10 in condensed, simplified Biblical Hebrew with illustrations. A glossary for infrequent Hebrew vocabulary appears at the end of the booklet. Learn the story of Exodus 11–12 in condensed, simplified Biblical Hebrew with illustrations. A glossary for infrequent Hebrew vocabulary appears at the end of the booklet. A hungry snake comes out from under a rock. It wants to eat everything it sees. Will it eat the man? Learn the names of many animals in the Hebrew Bible. Discover these names by matching the animal with its tail. 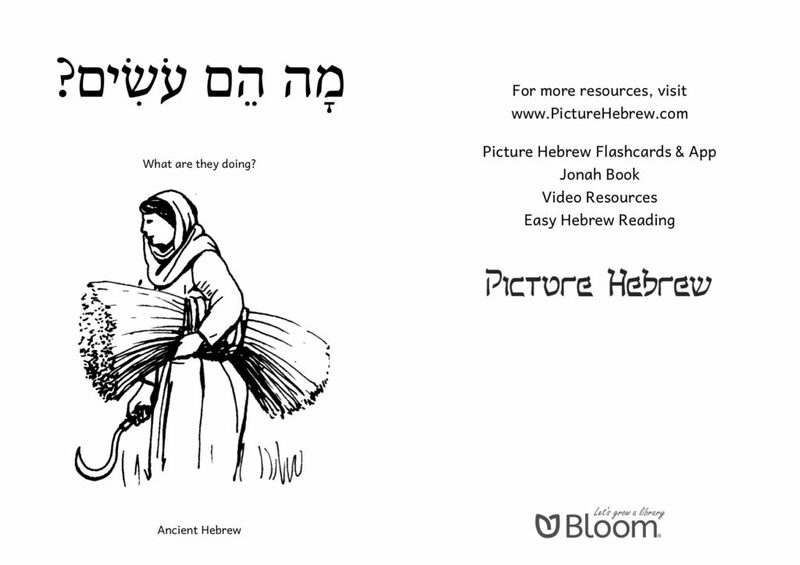 Increase your Biblical Hebrew vocabulary with these vignettes of everyday tasks in Ancient Israel.